Notes: In 1894 the NER began quadrupling the line between Gateshead and Pelaw, and in this process Felling and Pelaw received new stations with single island platforms. Although they were designed at the same time, their buildings were entirely different. Fawcett (2005) notes that, in contrast to the relatively undistinguished offering at Pelaw, Felling was a modern-looking station with a broad, glazed platform roof ending in gabled windscreens, while the supporting columns, with their console-style capitals, recalled the work recently underway at Newcastle Central. 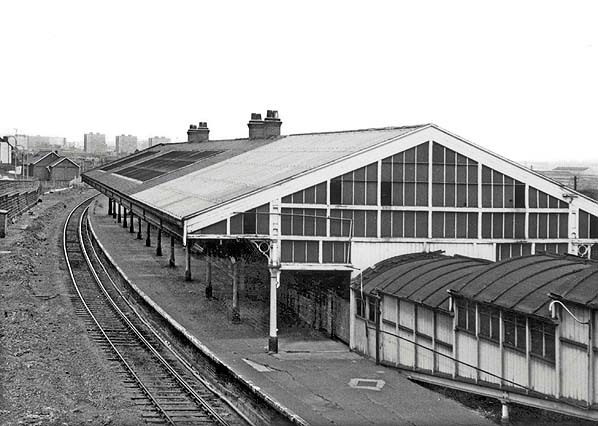 The entrance building on Sunderland Road was modest compared to the lavish scale of the platform structures. It was single-storey, of brick construction, with segmental arches over its door and window openings. A footbridge across all four tracks provided access from Mulberry Street to the north of the station. Access to the platform was via a two-stage ramp. The first section was in a wooden shed; then a right angle bend led passengers into a fully enclosed series of modules whose curved roof sections were arranged in a series of steps, rather than as a continuous slope, down to the platform. Felling station was operated by the North Eastern Railway until 1923 when the company’s network became part of the newly-formed London & North Eastern Railway (LNER). In 1948 at Nationalisation Felling became part of the North Eastern Region of British Railways. Throughout the twentieth century Felling enjoyed a frequent service of trains on the Newcastle to Sunderland and South Shields routes, and some calls by trains on the Washington route until they were all but extinguished in the late 1940s. From March 1938 the South Shields service was operated by electric multiple units until January 1963 when DMUs replaced them. 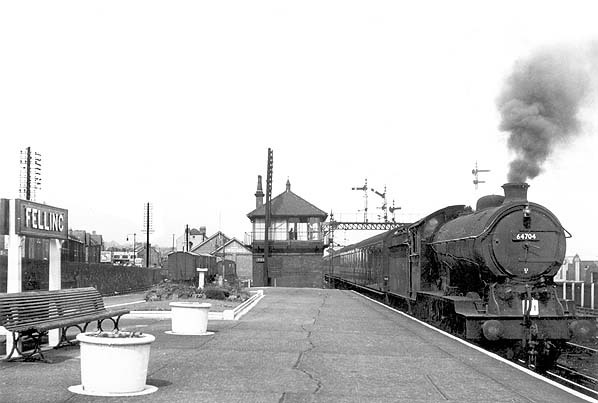 The steam-hauled Newcastle - Sunderland local trains had given way to DMUs in August 1958. BR carried out some modernisation at Felling, installing totem name signs in the early/mid 1950s and vitreous enamel running-in boards a little later; however gas lighting was retained. The Reshaping of British Railways (‘Beeching’) report of March 1963 did not recommend the Newcastle – Sunderland / South Shields local services and stations for closure, but the Washington route was earmarked. 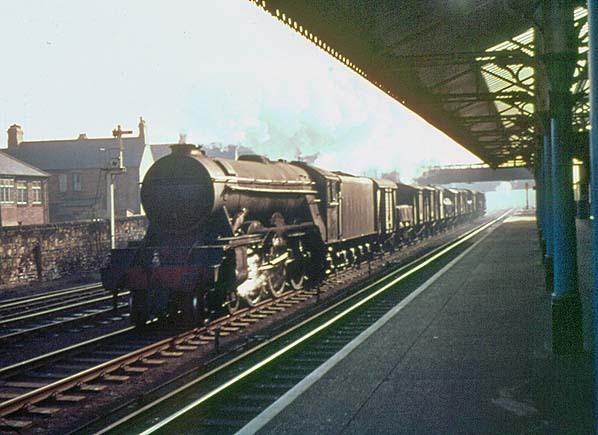 The closure to passengers of the line to Washington on 9 September 1963 entailed the withdrawal of the Newcastle to Washington train departing from Felling at 8.41 am and a reverse working from Washington to Newcastle which called at Felling at 5.50 pm, both operating on Monday-to-Friday only. As part of the programme of withdrawing goods services from wayside stations, Felling ceased to handle this traffic on 2 August 1965. On 2 January 1967 the North Eastern Region was abolished and its lines and stations were transferred to Eastern Region management. 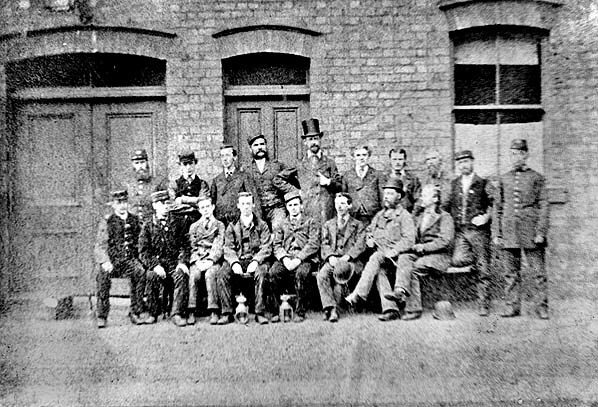 The Newcastle – Sunderland and South Shields branch local services were among those changed by the Eastern Region to ‘Paytrain’ operation in which, as an economy measure, booking offices were closed at all but the most important stations and tickets were issued instead by conductor-guards on the train. Felling and all of the other intermediate stations between Newcastle and Sunderland / South Shields consequently became unstaffed on 5 October 1969. Without staff in place, Felling’s extensive buildings were targeted by vandals: there was plenty of glass to smash, and graffiti spread quickly, even rendering the nameboards illegible. 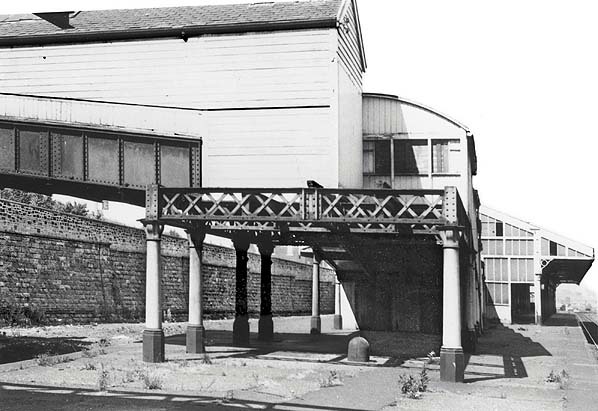 In early 1972 BR demolished all of the buildings at Felling station, replacing them with a brick shelter. The gas lamps gave way to electric lighting on the tall vandal-proof standards favoured by the Newcastle Division of the Eastern Region. In 1974/5 Corporate Identity name signs were installed. Bradshaw from Chris Totty. Totem from Richard Furness. Route maps drawn by Alan Young. 1:500 OS Town Plan 1896. 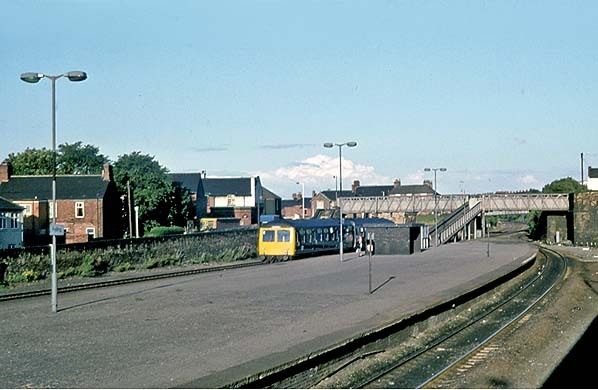 This was the year when the original two-platform Felling station was replaced with a large island platform a short distance to its west. The plan includes both station sites and, at the time of map revision, although the new station building on the platform is shown it appears not to have its extensive roofing. Felling second station looking west, probably in the early 1950s. In the foreground is a standard LNER running-in board, and an NER signal box stands at the end of the platform. 64704 is hauling a passenger train towards Sunderland. This Gresley-designed J39/1 0-6-0 was built in the LNER Darlington works in 1926 and was originally numbered 1452, and later 4702. Re-numbered 64704 at Nationalisation the loco was based at 52C Blaydon shed in 1948, later moving to 54A Sunderland South Dock. She was withdrawn from service in December 1962 and cut up in August 1963. 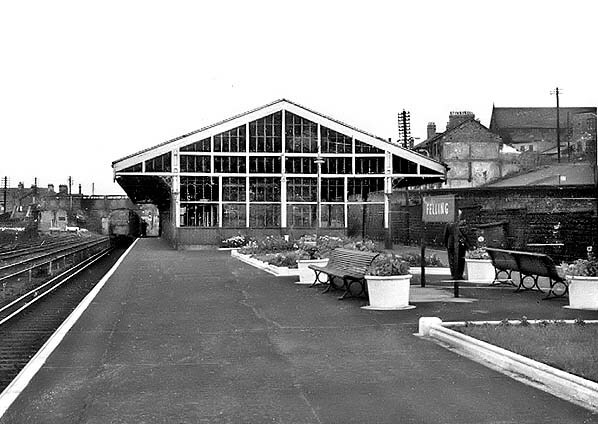 In 1958 Felling second station’s flower beds and pots appear to be well maintained and the expanse of platform roofing with generously sized glazed end screens is intact. This view is looking west. In March 1960 a mixed goods train takes the down fast line past Felling second station. The station retained its glazed roofing and the columns had recently been given a coat of the North Eastern Region’s ‘oriental blue’ paint. 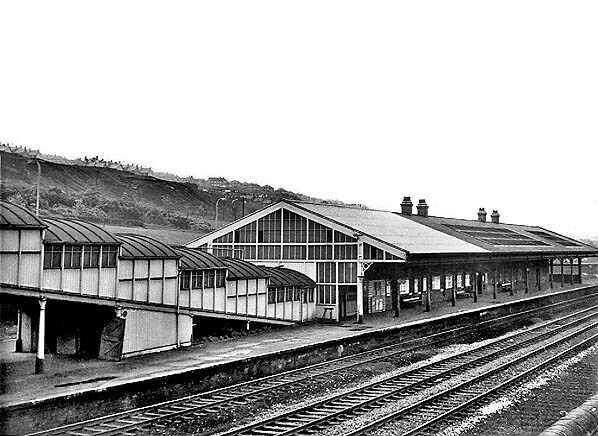 Felling second station looking southwest in 1966. The stepped roofing of the ramp and the extensive buildings are shown to good effect in this view looking southwest from the footbridge over the fast lines. This unusual angle, looking west from a position close to the eastern end of Felling second station platform shows the structure of the roofing where the footbridge and pedestrian ramp join. The photo was taken in July 1969, a few months before the station became unstaffed. 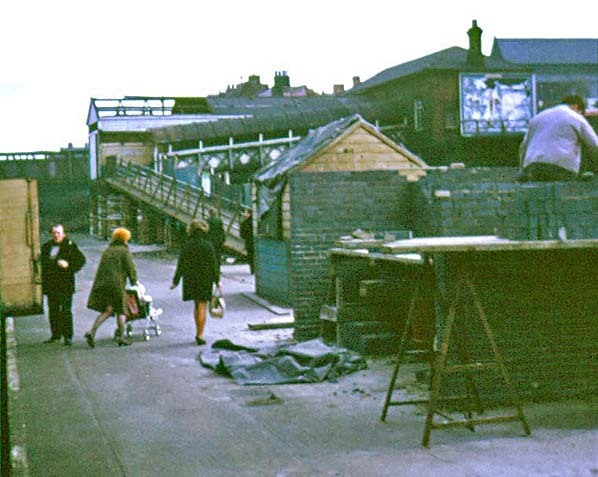 Looking west across Felling second station from the footbridge in July 1969. At this time, a few months before the station was de-staffed, it retained its lavish roofing and platform buildings. A DMU bound for Newcastle passes Felling early in 1972. The station roofing is being removed a little over two years after the station became unstaffed. 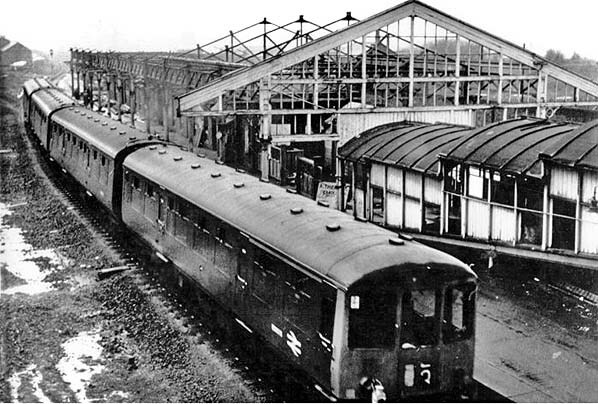 On 29 March 1972 demolition of Felling station’s buildings is at an advanced stage. The ramp down to the platform has been stripped of its roofing, but the roof of the footbridge and the entrance building have yet to be removed. In the foreground construction of the platform shelter is under way.